We get a lot of requests to create refills for our products, and now it's finally here! We're excited to roll out the beginnings of our Refilling Station! Here's everything you need to know about our latest move to sustainability and taking care of the environment! Question: What products are available for refilling? Answer: You may refill the Dishwashing Liquid (Grapefruit-Orange & Lemon-Calamansi), Liquid Detergent, Baby Liquid Detergent and Baby Bottle & Utensil Cleanser. Question: Will I save on refilling products compared to buying a new product? Answer: Yes, you definitely will save more when you refill. The savings however is a modest amount because - and we are proud to say this - most of the cost of the product is due to the formulation and not the packaging. Question: Will my dealer discount apply in refilling? Answer: Yes, it will! Dealers can get up to 20% off the refill price. Question: Where can I refill my bottles? 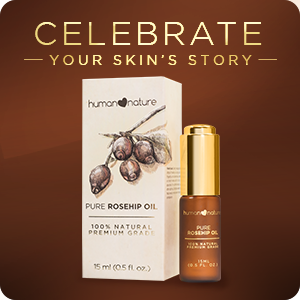 Answer: You can refill at the Human Nature Flagship Store and SM The Block Branch. See www.humanheartnature.com/branches for branch locations and contact details. We hope to bring refilling stations to more branches, so keep an eye out for the next ones soon! Question: What bottles are allowed to be refilled? Answer: We will only refill empty, clean and dry Human Nature Liquid Detergent (950ml) and Dishwashing Liquid (500ml and 1L) bottles. All bottles will be refilled to their original capacity. This is so that our store staff can more easily monitor and manage the content of the bulk refilling container, ensuring minimal waste. Question: What's the minimum amount of product I can refill? What's the maximum? Answer: The minimum refill amount is 500ml. But you can refill as many empty, clean, dry, Human Nature Home Care containers that you can bring. Question: Can I bring my own bottle to refill at your store? Answer: Our products have genuinely natural formulations so we've had to do formulation-packaging compatibility tests to ensure that our formula does not affect the packaging and that the packaging does not affect our formulation. Remember, we don't use synthetic preservatives that lengthen the shelf life of sythetic products to years and years. Using other bottles means that it hasn’t undergone this compatibility testing and hasn’t passed our safety standards. Answer: The bottles and caps/pumps may be used as many times as possible as long as they have no cracks or discoloration. Question: Will you accept the bottle for refilling if it starts to become discolored – for example, if a white bottle starts to turn yellow or a transparent bottle starts to become cloudy? Answer: If the bottle can still be sealed properly despite the damage (e.g. a broken flip top cap that still seals properly), then we can still accept it. If the bottle cannot be properly sealed, then we will not accept it because it can expose the product to contamination or leakage. Answer: Yes, we will allow the refilling of liquid detergent bottles with a different liquid detergent variant (950ml bottles), or dishwashing liquid bottles with a different dishwashing liquid variant (1L, 500ml or 250ml bottles). Question: Will you accept the bottle for refilling if the label has been removed? Answer: We will accept bottles with or without the original label, as long as they are part of our Home Care line. Question: How does the refilling station work? 1. Tare: Give your container to our store staff for weighing. For your safety, we’ll refill only empty, dry and clean Human Nature Home Care product containers that meet our standard. 2. Fill: Our store staff will fill your container. One container = one product. 3. Weigh: We’ll weigh your filled container and stick the product price label on it. 4. Pay: Checkout and pay at the counter. That’s one container saved from the sea! Question: How do I ensure that my bottle is clean enough for refilling? 1. Clean bottles with a long brush using warm water and dishwashing liquid. To remove residue on hard to reach areas, soak overnight in a mixture of 1 part white vinegar and 4 parts water. 2. Rinse thoroughly with running water. 3. Shake out excess water, spray with alcohol and air dry completely upside down to prevent dirt from entering bottles. Question: How do I know that the refilling will be done in a clean, hygienic way? Answer: Our store staff will sanitize their hands prior to refilling products to avoid contamination. Question: Will I be able to know the manufacturing batch and expiry date of the products I refill? Answer: Yes, each refill comes with a sticker indicating the batch code and expiry date of the product. Question: What can I do if I want to return a product I refilled? Answer: If the product caused any irritation or there was a contamination issue, simply contact our friendly Customer Service through customer.service@humanheartnature.com, call us at (02)784-7788, or return it to the branch where you refilled the product. We will offer a replacement, refund or store credit for it. Question: How many single use containers can be saved by the refilling stations? We hope our customers will choose refilling more and more to help us save more single-use bottles! Question: When can I refill my personal care products as well? A: We're petitioning FDA to enhance the current regulations so cosmetics refilling can be safe and accessible to all. Sign the petition at bit.ly/mainstreamrefilling.